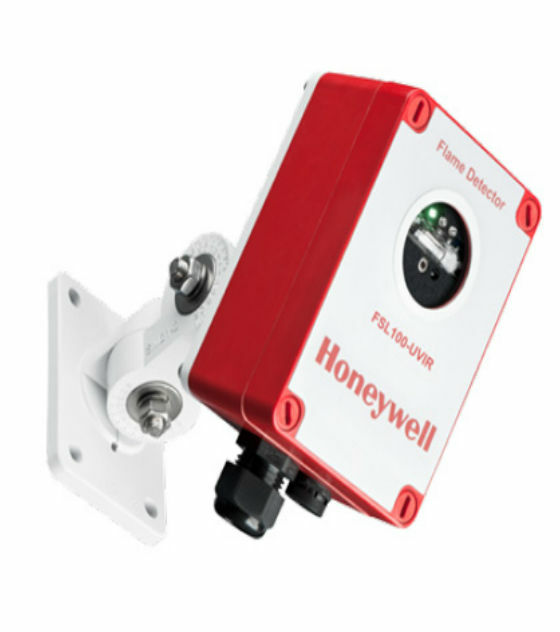 The Honeywell Analytics FSL100 Series Flame Detectors is the Optoelectronic flame detector for a wide range of Light Industrial fire detection applications. Automatic test and test lamps for simple check and maintenance. A range of middle market Optical Flame Detectors joining the HA FSX High End products. Addresses a wide range of fire protection applications both indoors and outdoors. With 3 versions to cover a wide range of flaming fires: Ultraviolet (UV), Ultraviolet/Infrared (UV/IR) and Triple Infrared (IR3). Detects wide range of Hydrocarbon & Non-Hydrocarbon fires - Detecting a wide range of Hydrocarbon and Non-Hydrocarbon flaming fires means that many application areas can be addressed. Wide viewing angle - Optical detection of radiant energy in a solid angle Field of View enables coverage of a large risk area. Simple optional mounting bracket allows the FSL100 to be installed and aligned covering the hazard. Fast response - Far faster than other technologies, by responding to flaming fires in seconds enabling a more rapid response to danger before the fire can escalate. FM Class1, 2 & 3 Div2 - Can be installed indoors or outdoors and in Hazardous areas typically looking into a Div 1 area from a distance. FM 3260 performance cert - Certified to FM 3260 for flame Detector performance. Relay and current output (Fault and Alarm) - Analog stepped output and Alarm/Fault relays for simple connectivity. Inbuilt Automatic Test and Simple to use Test Lamps - FSL100 maintains continuous internal health monitoring. Test lamps enable simple operational and Field of View testing. FSL100-UV-W	UV flame detector. Suitable for ATEX zone 2/22; FM 3611 Class 1,2&3 Div2 EN54-10 (HIGH sensitivity) certificate FM3260 approval. White Housing. 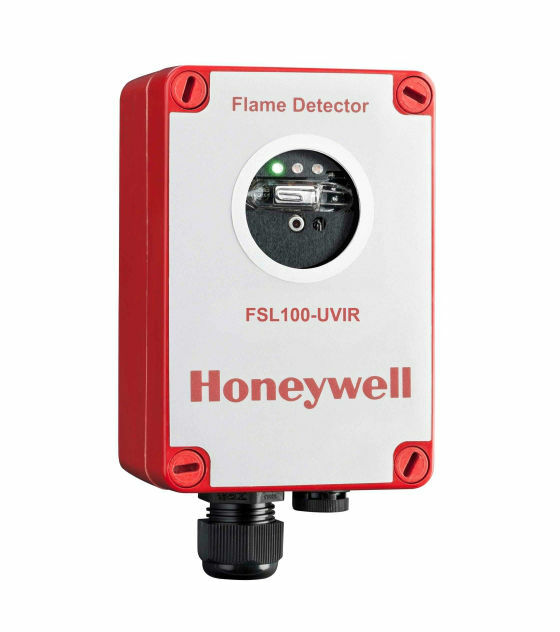 FSL100-UVIR	UV/IR flame detector. Suitable for ATEX zone 2/22; FM 3611 Class 1,2&3 Div2 EN54-10 (HIGH sensitivity) certificate. FM3260 approval. Red Housing. FSL100-UVIR-W	UV/IR flame detector. Suitable for ATEX zone 2/22; FM 3611 Class 1,2&3 Div2 EN54-10 (HIGH sensitivity) certificate FM3260 approval. White Housing. FSL100-IR3	Triple IR flame detector. Suitable for ATEX zone 2/22; FM 3611 Class 1,2&3 Div2 EN54-10 (HIGH sensitivity) certificate. FM3260 approval. Red Housing. FSL100-IR3-W	Triple IR flame detector. Suitable for ATEX zone 2/22; FM 3611 Class 1,2&3 Div2 EN54-10 (HIGH sensitivity) certificate. FM3260 approval. White Housing.